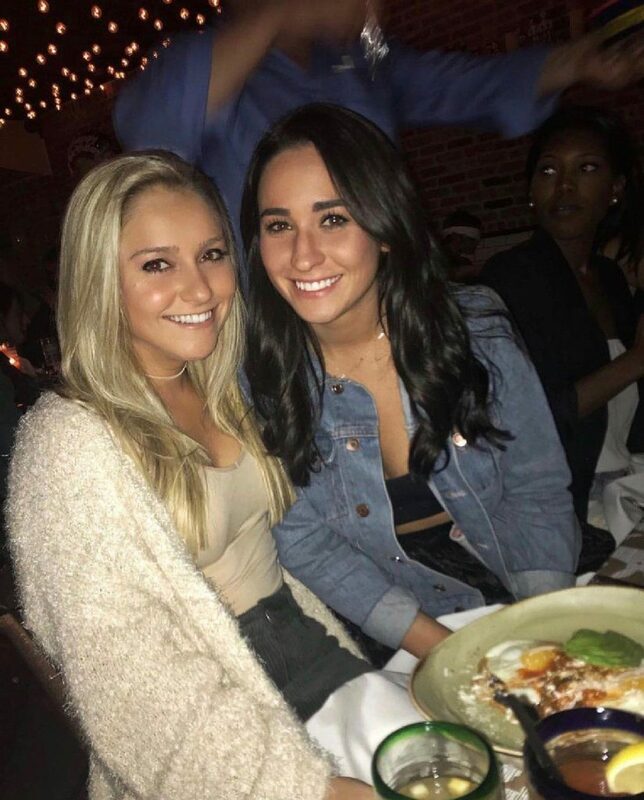 Pictured Emma Pichl and Alex Iovine (left to right) and their Uber driver. Pictured Emma Pichl and Alex Iovine (left to right) and their Uber driver, Ahmad El Boutari. Alex Iovine and Emma Pichl kicked out by (homophobic) NYC Uber driver Ahmad El Boutari after making out in the backseat of car. Two NYC women have been told ‘kissing is illegal’ after the lesbian couple ‘made out’ in the backseat of an Uber car to the chagrin of the Uber driver who demanded they ‘get out’. 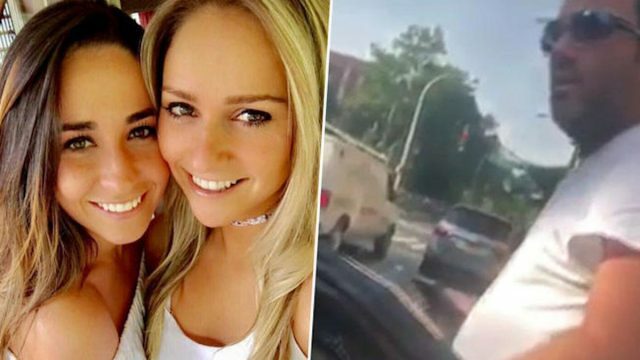 In video recorded by Emma Pichl, 24, and her girlfriend of two years, Alex Iovine, 26, the two women are observed getting in a confrontation with the Uber driver after hailing the app service from a popular Gowanus, Brooklyn, bar circa 5 p.m. Saturday as they sought to make their way back to Manhattan’s East Village. It was while crossing the Manhattan bridge that matters became undone. Explained Pichl via the nypost, ‘We got over the Manhattan Bridge into the city. We were sitting on opposite sides of the backseat. At one point we leaned over and pecked kiss, very fast’. And that’s when the fireworks started. Alex Iovine and Emma Pichl Uber driver from hell, Ahmad El Boutari. 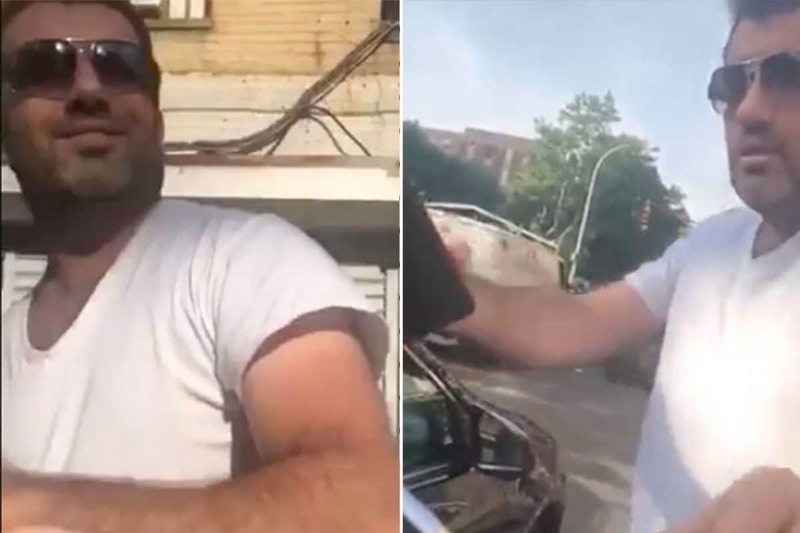 The video of the two women’s interaction with the driver was later posted to YouTube under the title “Uber driver kicks 2 girls out of his car for being gay” shows the moments after the Uber driver booted the women. In the clip, both women can be heard asking the driver what the ‘issue’ is as they are outside the vehicle. ‘I said…don’t do it,’ the driver, since identified by the city’s Taxi and Limousine Commission as Ahmad El Boutari, telling the women who are reproached by the women who ask the motorist if kissing is ‘illegal’ in an Uber. ‘You are not allowed … it’s disrespectful … it’s disrespectful. I don’t want to argue with you. Just get off my car,’ the driver says. A moment later, according to Pichl, El Boutari allegedly ‘grabbed’ her arm to get her phone out of her hand. Yes kids- raise your hand if you too have also had your fun share of homophobic experiences? Pictured, Alex Iovine and Emma Pichl. Image via Facebook. Uber insists it has a policy of non discrimination; what about the drivers it contracts? Pichl, a senior recruiter for a recruiting company, said she and Iovine, a consultant for a technology company, were left stunned. Come Saturday, the couple filed a complaint with Uber, who in turn apologized to Pichl and Iovine and refunded their ride. Told Uber in a statement, ‘Uber does not tolerate any form of discrimination, and we have reached out to the rider regarding her experience. We are investigating and will take appropriate action’. According to Uber, which has a non-discrimination policy, the incident was also reported to the company by the driver. The city’s TLC said Monday that no complaint with the agency had been filed in connection to the incident, while saying it has since launched an investigation. ‘[A] driver is most definitely not allowed to do such a thing. There is a list of circumstances that are grounds for refusing service to a passenger, and what happened is most definitely not among them,’ told TLC spokesman Allan Fromberg. According to Pichl, Iovine also filed a complaint with the city’s Human Rights Commission in connection to the incident, which took place during Pride Month. Last week’s incident follows a 2016 episode which involved a New York City yellow cab driver ordering a lesbian couple to get out of his car after they shared a kiss in the back seat. The driver was ordered by the city Human Rights Commission to pay $14,000 to the couple and to complete 152 hours of community service. The couple settled for a mediated apology and anti-discrimination lessons for the driver instead. It remains unclear what ‘mediated punishment’ awaits Ahmad El Boutari.